Holly: The cover looks more like they’re disco dancing than fighting. more than self defense. It is pretty groovy though. I have a sudden desire to sing Kung-Fu Fighting. They rainbow background on the cover adds to the dancing vibe and trivializes the subject. If I could not read English, I would never guess that this was a book about self-defense. These images need a “wah-chikka wah-chikka” soundtrack. Too bad about the groovy look. The self-defense bits are actually pretty much good advice. Of course, one has to train a little, preferrably on a big, calm guy who has some acting skills and is fun to defeat / mock-beat up. 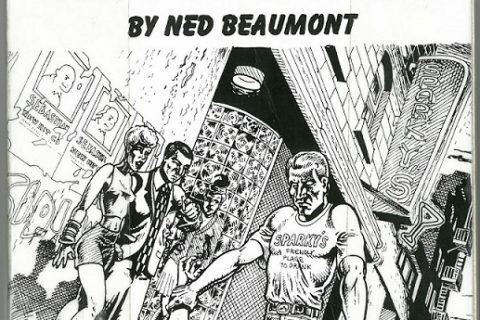 But this book is not the book for people looking for help to self-defense. This, however, is a _great_ book for someone who wants ideas for dance moves at heavy-punk show! 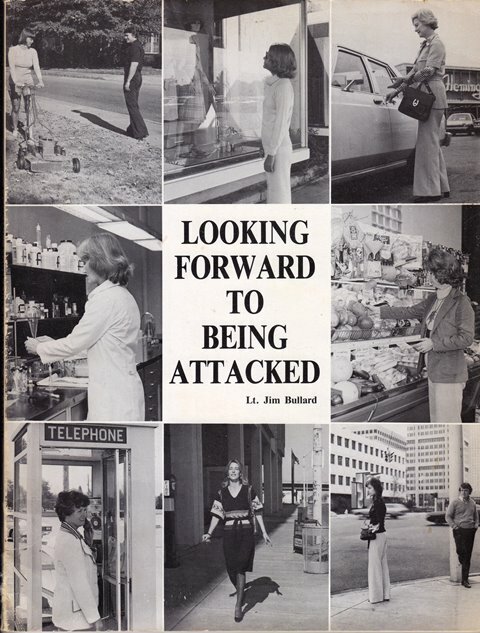 but I fail to see how the art of self-defense could be any different today than in 1977! It’s also possibly a weak book on the topic. My little girl and I take family karate/self defense together, and the defense against any kind of a pulling grab has two components: the pin and the step for balance. This book gets the pin part correct: always pin the hand that’s grabbing you (preferably with one’s “off” or weaker hand) then step into the pull for balance and stability. Also, if someone is yanking one’s hair down, a shin kick will be ineffective. Much better to swing up hard with a knife hand strike to the groin. Not to mention that knee strike/straight punch combo is bizzarre. For a close in knee strike, you’d want to have grabbed the guy’s shoulders. For a straight punch, you’ll want a solid stance so you can put your whole body behind it for a driving blow.